A modern guide that makes awakening accessible based on ancient wisdom, psychotherapy, and the latest neuroscience. It is possible to access the same sense of well-being, clarity, inner freedom, and loving connection realized by the world’s meditation masters. We can do this by shifting our awareness in the midst of our daily lives. 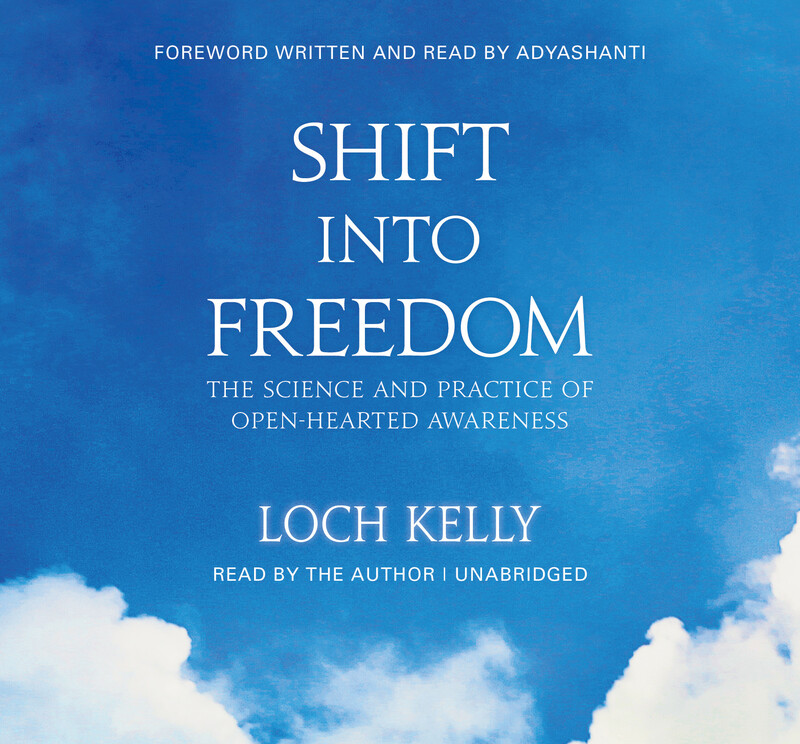 Shift into Freedom is an unabridged audiobook presentation of innovative teacher Loch Kelly’s training manual for actively participating in the evolution of your own consciousness. Synthesizing insights from neuroscience and psychology with wisdom from the world’s contemplative traditions, Shift into Freedom offers an accessible and remarkably powerful series of meditations that lead us to a little-known natural capacity called “awake awareness.” Through an unfolding process of “small glimpses, many times,” these exercises shift us from a thought-based knowing to an awareness-based way of operating in the world. “The goal of these meditations is not to transcend the human condition,” explains Loch Kelly, “but to discover how to live a fully intimate human life.” Shift into Freedom gives you the tools to navigate your life with clarity and unconditional love. I'd been searching for something meaningful and lasting in my life for many years; I love Eckhart's Power of Now and everytime I get down in the dumps, I get on my bike and climb up into the hills with it in my ear. When I come back I'm 99% better, but his advice of, ..."always say yes to the present moment..." doesn't have the resonance to really stick, even though I wish it would. "Shift" has given me the hope that I will be able to stay present and switch out of the uncomfortable anxiety that I've suffered with since puberty; a reeling mind anytime I have to perform under pressure with someone watching me has been the norm for nearly 40 years now. Loch Kelly has provided humanity with a profound, yet practical means for each individual to come to a deep recognition of their essential nature while still incorporating psychological development. Loch is clear and concise and yet provides a wide breadth of information that looks at science and wisdom and the ways in which they relate. There are a wide range of practices in the book that offers each individual the opportunity to see what resonates for them and works for them. What I appreciate most about the book is that Loch goes into the nuances that can occur as we shift into the various levels of mind and ultimately into awake awareness. This allows for the book to serve as a guide that can be picked up numerous times from the book shelf to allow for a deeper resonance to occur each time it is revisited. Luminous, Clear, Direct Review by Will N.
Game Changer Review by Colleen Loehr, M.D. Immensely grateful Review by Megan V.
Loch not only makes some powerful distinctions useful for all Truth Students... He also introduces many guided inquires that open new possibilities for Direct Knowing... which provides a Joyous and Powerful context for all aspects of the Journey. I particularly liked is WAKING UP/IN/OUT Model... and his thoughts toward the end of the book on the implications of Awake Awareness for psychology, growth, and healing.